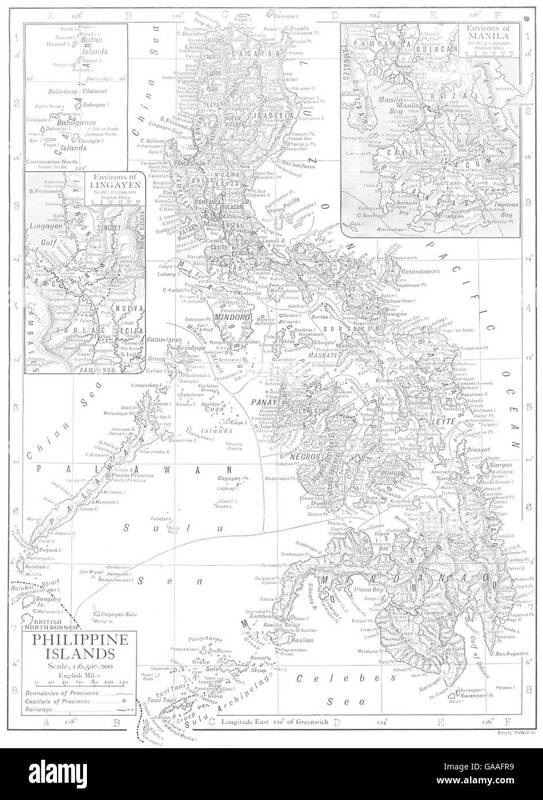 'Philippine Islands; Inset maps of Environs of Lingayen; Environs of Manila'. Artist/engraver/cartographer: Emery Walker, sc. Provenance: "The Encyclopaedia Britannica" Published by Cambridge at the University press, London: Eleventh Edition. Type: Antique map; Scale 1:6,500,000; Scale 1:2,600,000; Scale 1:2,600,000; .